Andrew P. Bolson | Meyerson, Fox, Mancinelli & Conte, P.A. 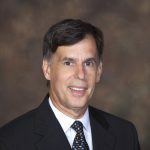 Andrew P. Bolson is an attorney with Meyerson, Fox, Mancinelli & Conte, P.A. Andrew’s practice focuses on litigation, including breach of contract disputes, employment actions, claims for invasion of privacy, and estate contests. Andrew also represents small business, nonprofits and entrepreneurs with various corporate matters and maintains a real estate practice where he represents residential and commercial buyers and sellers. Furthermore, Andrew prepares basic wills, powers of attorney and living wills for clients. Having received several judicial appointments, Andrew has also served as Court Appointed Attorney on various guardianship actions. 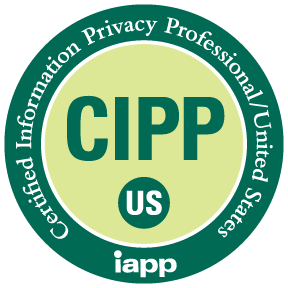 In 2012, Andrew was certified as a Certified Information Privacy Professional/United States (CIPP/US) by the International Association of Privacy Professionals. Andrew has authored several articles on privacy law, examining issues ranging from the New Jersey Data Breach Notification Act to the problems of Section 230 of the Communications Decency Act. In 2015, Andrew launched the Privacy Initiative of New Jersey, a nonprofit organization to advocate for stronger privacy rights for individuals. Andrew received his undergraduate degree from the George Washington University in 2005 and his Juris Doctorate from Rutgers School of law-Newark in 2010. While in law school, Andrew was selected to be a member of the Rutgers Law Review and he served in his final year as one of the Journal’s managing editors. In 2009, Andrew was awarded the prestigious Henry J. Raimondo Fellowship by the Eagleton Institute of Politics. As part of the Fellowship, Andrew worked in a semester at the New Jersey Senate Majority Office. Andrew is admitted to practice in the State Courts of New York and New Jersey and in the Federal District Court of New Jersey. He is a member of the New Jersey State Bar Association, the Bergen County Bar Association and the New York Bar Association. *No aspect of this advertisement has been approved by the Supreme Court of New Jersey. The Super Lawyers list is issued by Thompson Reuters. A description of the selection methodology can be found here. Presenter/Moderator, Privacy Overview: What Your Business Clients Need to Know, New Jersey Institute of Continuing Education (NJICLE), June 2014. Presenter, Online Reputation Management: Prevention and Cure, Infragard Philadelphia, March 2015. Presenter, New Considerations for Practicing Elder Law in the 21st Century, Elder and Disability Law Section Roundtable, October 2015. Presenter, Estate Planning in the Digital Age, Elder & Disability Law Retreat, New Jersey State Bar Association, April 2016. Presenter, Frauds and scams: What Elder Law Clients Need to Know to Protect their Clients, Elder & Disability Law Retreat, New Jersey Bar Association, April 2016. Why yelling “fore” in golf is more than a simple matter of golfing courtesy. 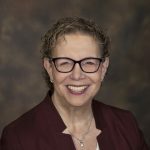 Consulting in New Jersey: What you need to know?